Lately I have been obsessing over all the cool stuffed toys that people have been creating. With several friends expecting in the coming months I thought it might be fun to make a little menagerie of sorts for their older children. My search for patterns started with the typical circus crew....elephant, lion, horse, maybe a monkey or two. Then I started finding all kinds of other patterns and finished projects and I just want to make them all! The other dilemma I am facing is whether to use plain fabrics or fun patterns. From what I have seen, I love these little stuffed animals either way. Here are some of my favorites that I have come across. Bambi Felt Plush by Enna Design Shop. I have always loved this type of pattern with the stitching on the outside. The mother of a dear friend of mine used to create tiny palm-sized teddy bears from felt using this technique and I always marveled at how retro and cute they looked. Some of the most elegant designs I have stumbled upon. 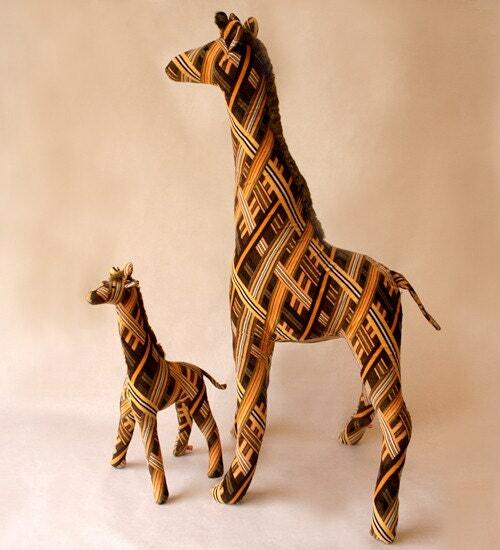 Mama Giraffe (above) and Elephants (below) by Burch and Daughters. 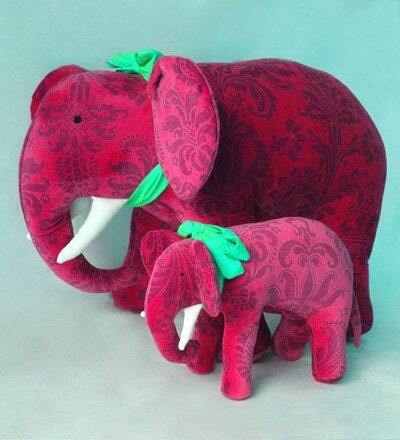 If anyone knows of a shop that sells the more intricate patterns that allow the animals to stand on their own and/or the felt style patterns please let me know. That is the only other thing I am having some trouble with because I am just not sure I am good enough to draw my own. Don't these just make you want to snuggle?